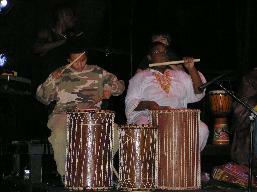 The jembe drum is the traditional musical instrument of West Africa. 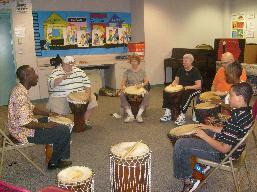 It is used in all aspects of the African culture, i.e., weddings, funerals, rites of passage ceremonies, etc. 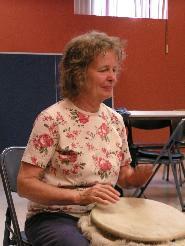 West African drumming offers the student an increased attention span and better mental acuity. 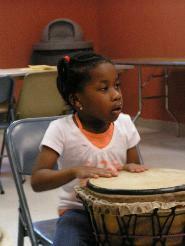 Hand and eye coordination is increased, and like any study of a musical instrument, academic achievement is enhanced. 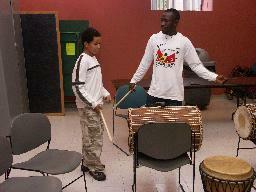 Jembe instruction is designed to help students play as accompanist for African dancers.